In an impromptu announcement, ESPN has confirmed that prodigal son Keith Olbermann will return home to SportsCenter since his return to the network earlier this summer. Olbermann will air an essay on Alex Rodriguez on the 11 PM ET edition of SportsCenter. "Keith Olbermann, whose daily late-night program debuts Monday, Aug. 26, on ESPN2, will make his first SportsCenter appearance in 16 years tonight during the 11:00 p.m. ET show. Olbermann will provide an essay concerning Alex Rodriguez’ return to Yankee Stadium tomorrow night. 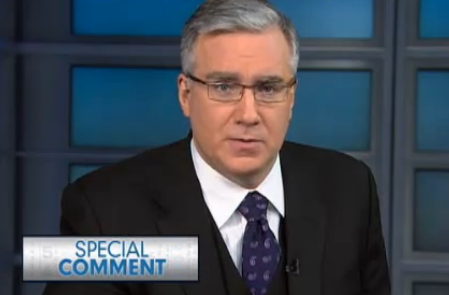 “Olbermann” will air Monday-Friday at 11 p.m. live from New York studios." The phrasing "essay" scares me a bit. Are we going to get the piano accompaniment and a Tom Rinaldiesque piece, or will this be a hellfire and brimstone "Special Comment" from his MSNBC days? I sure hope it's not the latter, although it may be fun to see Olbermann derisively call A-Rod "Mr. Rodriguez" and "siiiir" over and over again.